With Venezuela tottering on the brink of collapse and possibly civil war, it is almost impossible for me to imagine this was the same country I saw almost a quarter of a century ago. Sure, Venezuela had its problems then, but what Venezuela was then and what it is now are two vastly different countries. For one, there were no shortages of food in any way back then. Even the poor could eat better then. The grocery stores were full of food and there were no shortages of luxury goods in the department stores. No one had to wait in line for anything, and it was possible for individual Venezuelans to be able to open a business and make money. 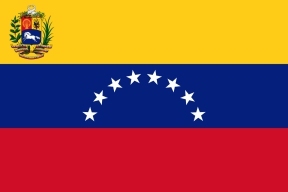 Crime, while a problem then, was not a life and death situation for the average Venezuelan. There were bad areas in many places, but crime was confined largely to these areas. The Venezuelan currency, the Bolivar, ran at a 20 percent inflation rate. Despite this, it still had considerable purchasing power. Medicines were never a problem. I could purchase just about any over-the-counter medication in any grocery store or pharmacy. Truth be told, I saw no beggars on the streets. At the time the people had freedom of speech, freedom of the press, an independent judiciary, and political parties where presidential candidates were picked in fair elections. Then the country went off the cliff with the election of Hugo Chavez. Yes, Venezuela’s poor wanted a radical change, and they got it. Too radical. Chavez “redistributed” the wealth, and he nationalized industry, the banks and agriculture. The results are what we are seeing now—no private business working, no Venezuelan able to make a profit and employ people to make products. Because of this, the country could not produce anywhere near enough food to feed the people. So the country had to import most of its food. But with the price of oil, Venezuela’s only industry left, going down the drain the country is unable to buy the food it needs. The result are long lines for a few basic foods for the entire week if people can get them. No medicines even in hospitals. Electricity shortages, agriculture virtually at a standstill, and the currency is so worthless (going at a conservative estimate of one million percent inflation rate) that store owners do not even bother counting the individual bills but weigh the bundles of Bolivars on scales. Toilet paper itself is in short supply. Even if it is available people may not be able to buy it since one roll now costs three million Bolivars. I have to ask myself how any country can survive like this? The current president, Nicolas Maduro, is keeping himself in power by denying his own people the most basics of life and putting people in prison for their political beliefs—something that was impossible in Venezuela when I was there. Over three million Venezuelans have fled the country, and things are so bad that Venezuelans are either eating their own pets or eating garbage or literally dropping dead in the streets from starvation. Could this rogue, socialist regime of Maduro survive for only a few months more or for years? For the sake of the people and the country, I hope the former is true.